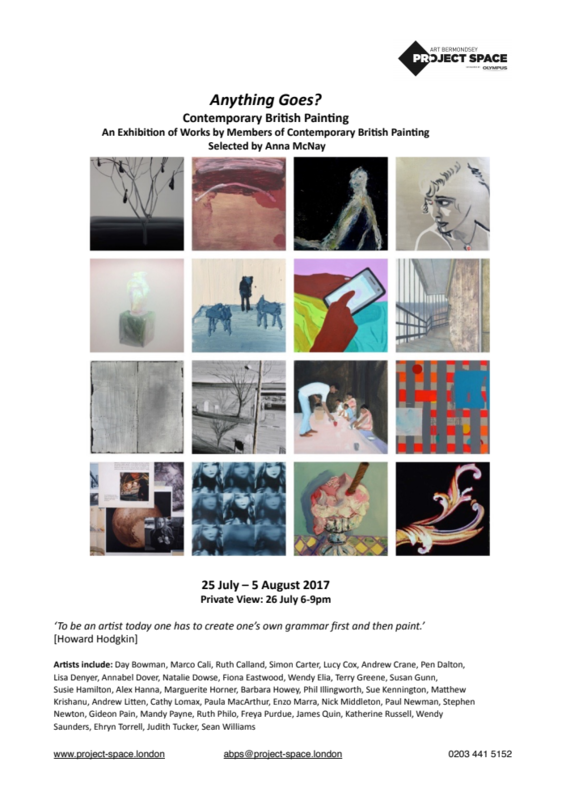 I am thrilled to be part of ‘Anything Goes?’ an exhibition of works by members of Contemporary British Painting selected by Anna McNay. 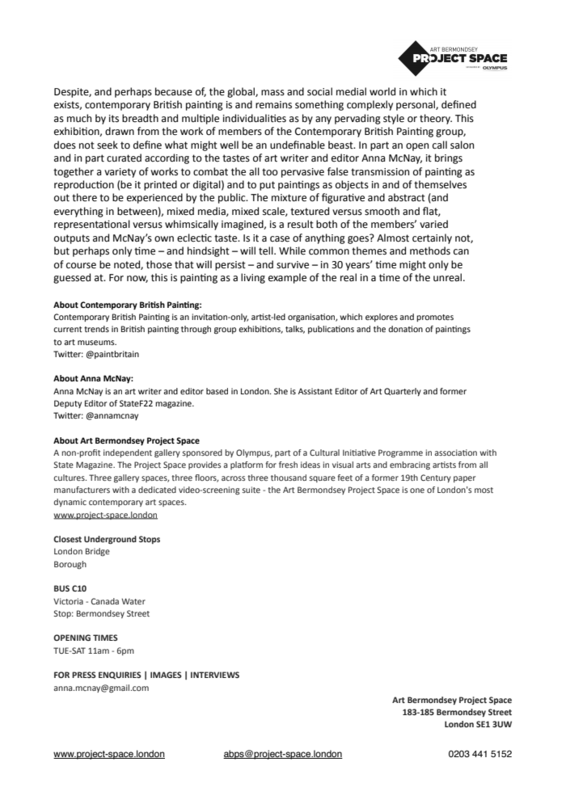 Location: Art Bermondsey Project Space, 183-185 Bermondsey Street, London SE1 3UW. Dates: 25 July – 5 August. Times: Monday by appointment, Tuesday – Saturday 11am-6pm. Closed Sundays. Private View: Wednesday 26 July 6-9pm. See the PDF (above) for further details.